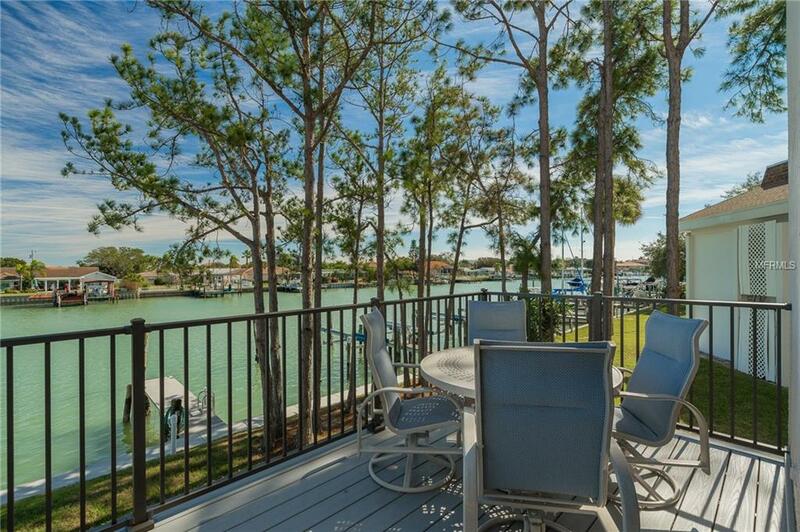 Spectacular waterfront views from this adorable 3 bedroom 1.5 bath Townhome. This home has been completely updated with new tile flooring through out lower level and wood like flooring upstairs, updated kitchen with granite and stainless steel appliances. Upstairs bath has a shower with huge soaking tub, and laundry also at this convenient upper level. 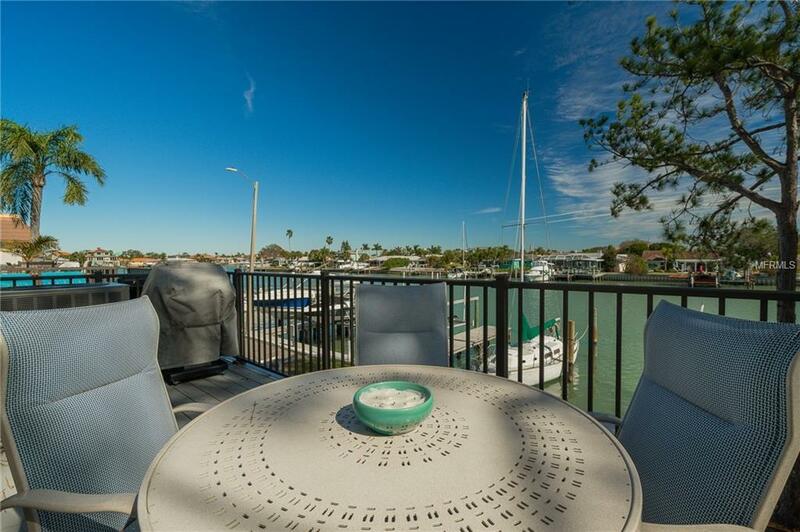 The Master Bedroom has wall to wall closets, new sky lights and a great view of the water. The second bedroom on this level also has new flooring and is spacious. 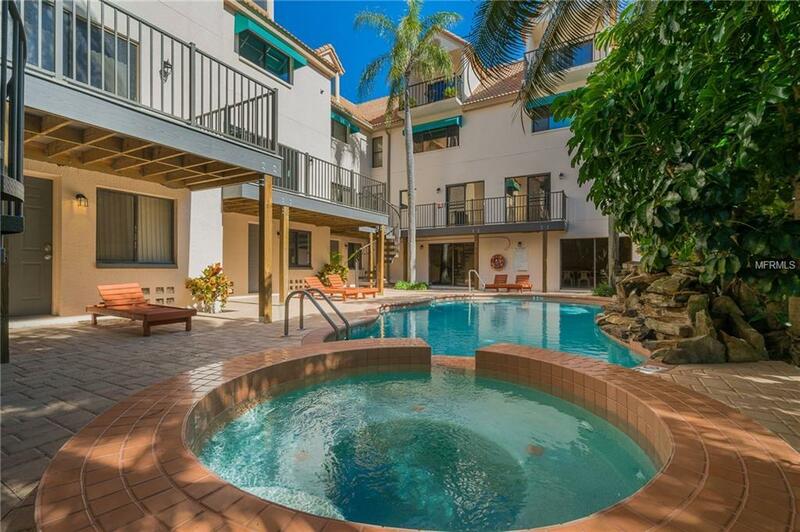 The 3rd bedroom is one level up and has a walk out balcony, with views of the pool and spa. Your very spacious living room and dining area have dual views of the lush tropical pool area and spa, along with views of the wide water canal and boat slips. 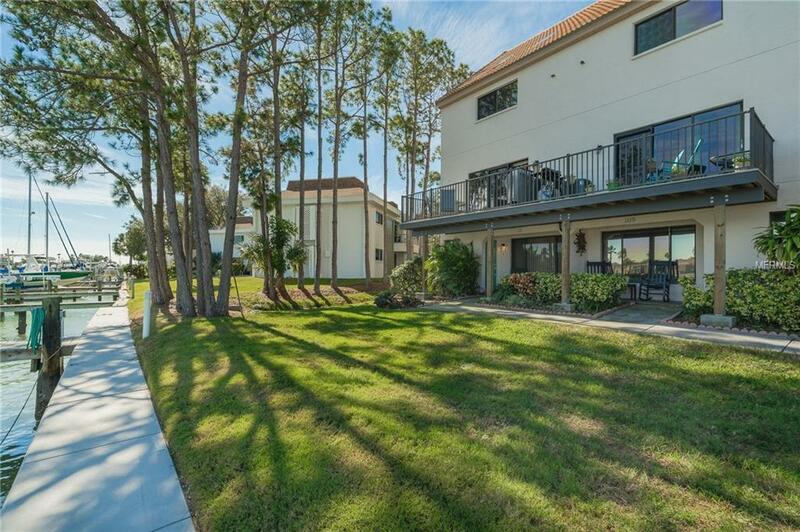 Walking out on to the large out door balcony is the perfect spot for dining and watching dolphin at play. The community has a large heated pool and spa for your enjoyment. This unit also comes with a first floor storage room, large enough for all your Kayaks, beach toys, and gear. Bring your dog, this is a pet friendly building. Unit Sold As- Is, Proof of funds with offer, buyer to verify square footage. Boat slips on first come basis, none currently available. Sellers are willing to give a $3,500 credit to buyer at closing for a boat slip rental.